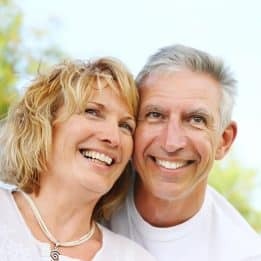 To restore a fractured or broken tooth, or one that has become structurally weak and unable to perform, the best solution is often to completely cap the tooth with a custom, lifelike dental crown. Commonly made from highly realistic dental ceramic, a crown simultaneously restores a tooth’s strength and integrity while improving its outward appearance and uniformity with the rest of your smile. When placed on top of a dental implant, a crown can also replace a tooth that has been lost or needs to be extracted. Your dental crown will be custom-designed according to your tooth’s unique and highly detailed specifications so that it fits comfortably and discreetly between your healthy, natural teeth. Depending on the nature and extent of your tooth trauma, your dentist might suggest a smaller restoration, such as a filling or porcelain veneer. However, dental crowns are often the preferable solution for a number of reasons. For instance, they can completely restore a tooth even when it’s significantly broken down or has been treated for severe tooth infection. To place a crown, your dentist will prepare the tooth by sculpting it to accommodate the restoration. Then, your dentist will measure the tooth using advanced digital imaging technology, using the measurements to custom-craft your lifelike dental crown. If your tooth is cosmetically or structurally compromised, then speak with your dentist about restoring it with a lifelike dental crown during your next appointment. To learn more, schedule a consultation with one of our experts by calling the My Dentist office in Londonderry, NH, today at (603) 965-3407.